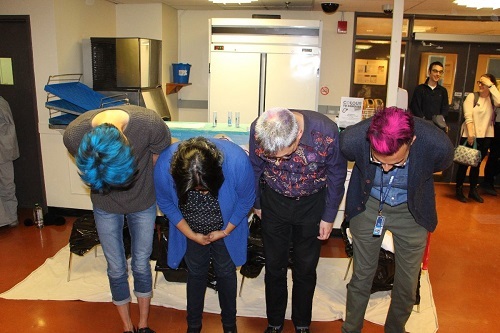 Colour Your Hair to Conquer Cancer is a bold new fundraising program that invites Canadians to colour their hair and raise funds to support the Princess Margaret Cancer Centre during the month of May. This event served as a celebration for the Medical Laboratory Science, Radiation Therapy and Chiropody programs for reaching their fundraising goals. Congratulations to the students for supporting this fantastic initiative, and to all the instructors that dyed their hair!